It’s 10 days till Christmas (or the otherly- or non-denominated holiday event of your choosing), and we still have a few online shopping days left. We figure you just might be needing some last minute gift ideas, so here’s a roundup of our favorite things this year! About: I’ve decided this travel press will likely be just a press-away-from-home gadget. I’ll use it to make coffee and pour it into another cup at the office (or while I’m on the road) for actual drinking. So on that front, it’s good – much better than keeping a breakable glass. Bottom Line: In all, I’m still not unhappy with the $18 I spent (read: three or four cups at Starbuck’s). 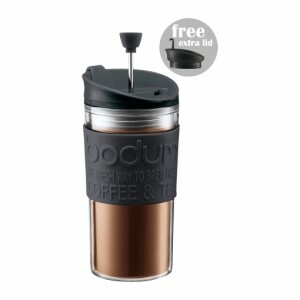 Buy it for: Anyone who’s into coffee. About: This is a slim, dense tome with a (for me) nostalgic blue-graph-paper-pattern edging, a conversational tone, and tons of illustrations and asides. Simply stated, I really wish I had the time to read and work through the whole thing, but it isn’t the kind of book that you have to. 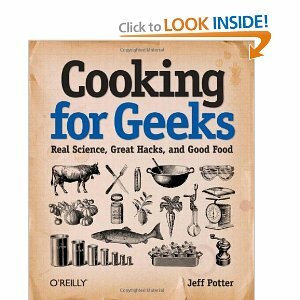 Bottom Line: Cool, fun, well-done book about cooking…for geeks! Buy it for: Anyone, except that one relative who knows how to cook and doesn’t care about the science. About: Charge the recharger, put it in the provided travel baggie, add the appropriate cords and tips (in my case, the iPad cord and the mini USB tip), and wait for the power to die in an inconvenient location. 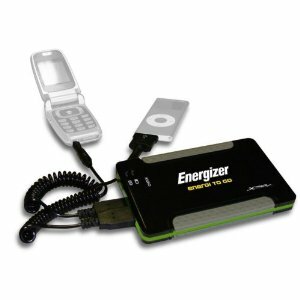 Bottom Line: POWER (that is portable) TO THE PEOPLE! Buy it for: People with gadgets and mobile phones. About: The first thing that struck me was its fabulous design. We’re calling it our ‘space-aged nail clippers’. The look of it is a welcome redesign of the classic nail clippers we’ve all become so used to. I was really impressed with the Klhip and the reversed lever doesn’t swivel around like the classic clippers so there’s no sliding out from under you. 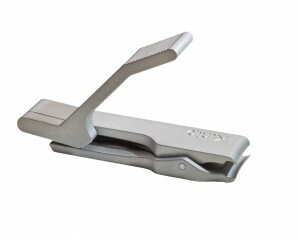 Bottom Line: The Klhip is a radical new design on the classic nail clippers. And while it wouldn’t have crossed my mind to re-design nail clippers, I’m glad someone is out there thinking about things like this. Buy it for: The fancypants on your list that you want to impress. 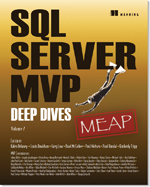 Bottom Line: I’ve given this book five out of five stars, not because every single chapter is the absolute pinnacle of databasery, but because (a) it’s a great book, (b) it’s a good cause, and (c) yes, some chapters ARE the pinnacle of databasery. Buy it for: Your favorite DBA. Also, yourself. About: The biggest thing that caught my eye was that it’s the first USB connected THX certified mic. I’ll leave it to you to discover what it takes to get THX certified, but it’s not an easy certification to get. Bottom Line: Yeti is a tremendous desktop mic and it’s meant to stay there. It’s a heavy little gadget and personally I love it that way. 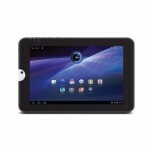 Yes, I still like my Toshiba Thrive tablet (Android OS, full size HDMI and USB, 16Gb for $410). I like my first generation work-supplied iPad, too (though I’m betting the 16Gb iPad 2 would be much, much shinier, starting at $520). I recommend either, according to your platform preference. I’m also digging my Nook Simple Touch eReader …that’s the basic model ($99), with the digital ink. Slower performance than a tablet, of course, but it does what it’s supposed to do well. Why don’t I spend more time talking about tablets and eReaders? Well, frankly, I think the specifics of each have gotten plenty of press. Bottom line: I like them. This weekend we also bought ourselves a Sodastream home soda maker. We drink a LOT of soda at our house cyclically (there are times when we cut down), and we’d been eyeing something like this for a while. 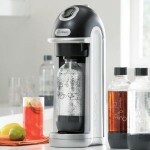 We bought the SodaStream Fizz Home Soda Maker at Bed Bath & Beyond. The kit comes with the machine, a CO2 bottle, a 1 liter bottle, and a 12 pack of soda mix samples (each makes 1 liter). This particular model also features a CO2 meter to show you how full the canister is, and a readout to show how much you’ve carbonated the current bottle. It’s very simple to use and set up (you just need water, CO2 and syrup), the bottles are sturdy, the syups are pretty good. Sean even made a homemade syrup and made fresh ginger ale, which turned out great. Bottom line: We liked it. It’s probably not a huge time saver, but it does cut down on what you lug from the grocery store, and will allow us to experiment with soda flavors at home. 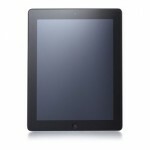 2 Responses to ITBookworm Last Minute Gift Guide 2011! I bet you the Yeti Microphone just make a THX cheat sheet to get certified. Well, that’s what *I* do.